Northwestern law professor Steven Lubet led a literary salon on Harper Lee's "Go Set a Watchman" at Bookends & Beginnings Tuesday night. The bookstore's first literary salon included a discussion on the contrasting portrayal of Atticus Finch in the new novel compared to Lee's "To Kill a Mockingbird." 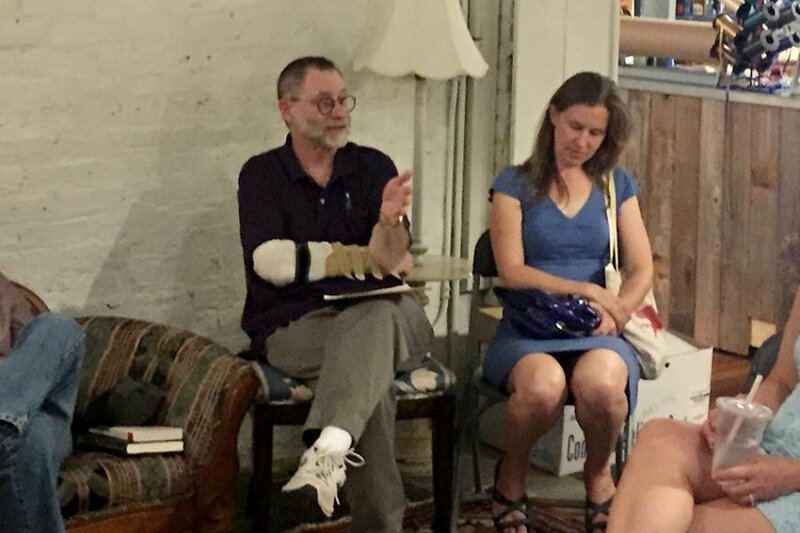 Northwestern law professor Steven Lubet (Weinberg ‘70) led a conversation at Bookends & Beginnings on Tuesday evening about author Harper Lee’s new novel “Go Set a Watchman” and its effect on Americans’ perceptions of its character Atticus Finch. Lubet discussed “Go Set a Watchman” with an audience of more than 30 people at the bookstore’s first literary salon, a tradition associated with 17th and 18th-century French literary movements in which people gather to converse on important topics. Lubet teaches a School of Law course called Narrative Structures in which he uses “To Kill a Mockingbird” as an example of how stories are told in a persuasive and interesting way. The course is about the way narrators — including lawyers, novelists, journalists and film directors — put stories together, he said. “Lawyers are narrators, but we are not the only narrators, so we can learn from what other people do,” he said. Lubet also praised Bookends & Beginnings for hosting its first literary salon. Historically, literary salons were held to educate and entertain audience members, said Jeff Garrett, co-owner of Bookends & Beginnings. The bookstore plans to host monthly literary salons for the Evanston community, he added. “Evanston is one of the most educated communities in the country, and it shows at events like this,” Garrett said. Evanston resident Jean Cunningham said she thought the event was a positive experience and a great way to create community conversation.